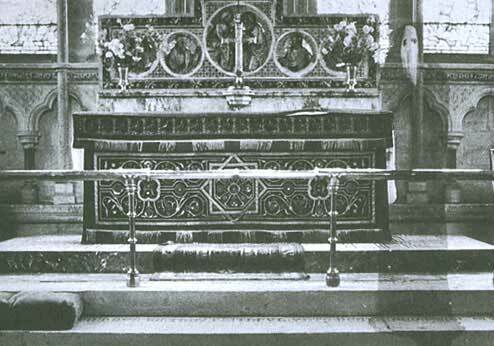 This photo shows a tall, hooded figure floating on the steps of the altar at Newby Church in North Yorkshire, England. The photo was taken in 1963 by the Reverend K.F. Lord, who was photographing the front of the sanctuary. He reported that he saw no such figure at the time of his visit. It appears to be about three meters tall. This photo does look like an obvious staging but it has been studied by photo experts who say the image is not the result of a double exposure.